ePortGO Takes Fare Payment to Whole New Level with Integrated Credit/Debit Card Acceptance, Dispatch, Navigation and More. 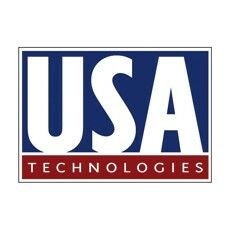 USA Technologies, Inc., a leader of wireless, cashless payment and M2M telemetry solutions for small-ticket, self-serve retailing industries, today officially launched ePortGOTM an end-to-end cashless payment, dispatch and navigation solution designed to simplify and economize the daily processes of today’s taxi and for-hire vehicle businesses while accommodating the increasing demand for secure, in-vehicle credit/debit card acceptance. ePortGO is an integrated system that enables credit/debit card fare payment, trip management, recordkeeping, vehicle dispatching, navigation, and other features all in one easy and cost-effective solution. ePortGO is also designed to be flexible; operators can start out with the standard service for metered or unmetered vehicles or opt for the Premium service that integrates dispatch, navigation and other features, such as a consumer mobile app displaying the operator’s personalized brand. 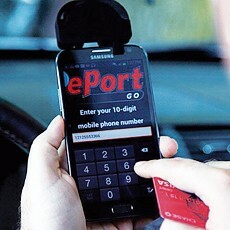 ePortGO is an extension of USAT’s ePort Mobile solution for secure credit/debit card mobile acceptance. ePortGO combines ePortMobile with software developed by eTaxi USA, LLC in addition to ePort Connect, USAT’s flagship cashless payment service that handles all aspects of credit/debit card acceptance—from merchant account setup to credit/debit card reconciliation and settlement to sales reporting and customer service. IBISWorld estimates revenues in the taxi and for-hire vehicle industry at $11 billion in the U.S. According to the Taxicab, Limousine and Paratransit Association, there are approximately 12,400 limousine companies operating 126,000 vehicles and approximately 6,300 companies operating 171,000 taxicabs throughout the United States. Municipalities such as New York City and Washington D.C. have recently been mandating the use of in-vehicle credit/debit card acceptance and navigation features in taxis. James Grosso, Jr., Operations Manager at Mid Island Car Service, in Staten Island, New York, is already an ePortGO customer.